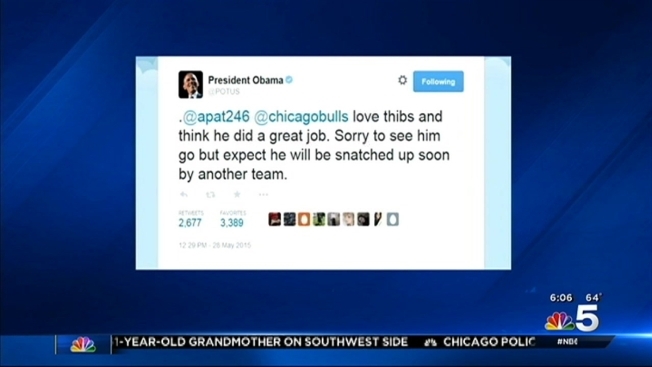 Mayor Rahm Emanuel was apparently not very happy about the news that the Chicago Bulls had fired head coach Tom Thibodeau. “I have lot to say,” Emanuel said when asked about the move during a press conference on graffiti removal in Chicago. “You know what, I have a [graffiti] blaster I’d like to use right now." The move comes after the Bulls ended their season with a blowout 94-73 loss to the Cleveland Cavaliers at the United Center earlier this month. In a statement released Thursday afternoon, Thibodeau thanked his players, staff, fans and Bulls Chairman Jerry Reinsdorf. "We are proud of our many accomplishments, fought through adversity, and tried to give our fans the full commitment to excellence they deserve," he said. And Emanuel wasn’t the only one voicing support for Thibodeau. President Barack Obama tweeted his support for the head coach Thursday, saying he thinks "he did a great job" and he's "sorry to see him go."